FAA’s world-class, bilingual curriculum provides students a proven path for cognitive development, social growth and academic success, including measurable progress in core skills like reading and writing, math and science. An interactive learning environment that stimulates and cultivates each student’s potential for excellence. An effective balance between the latest learning research and teaching techniques and the traditional disciplines found in a challenging, classical academy education. 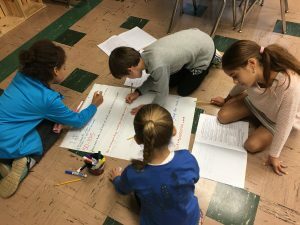 At the French American Academy, we expect our 5th grade students to meet or exceed the expectations of the French Ministry of Education Program and the New Jersey Student Learning Standards. In Language Arts, we expect our students to possess the skills and knowledge to speak, read, and write in French and in English fluently, demonstrating the quality of education they have acquired. Students will have studied a variety of authors of French and English literature and will be able to discuss and analyze their work with concrete comprehension. Graduates will write in cursive in both languages. 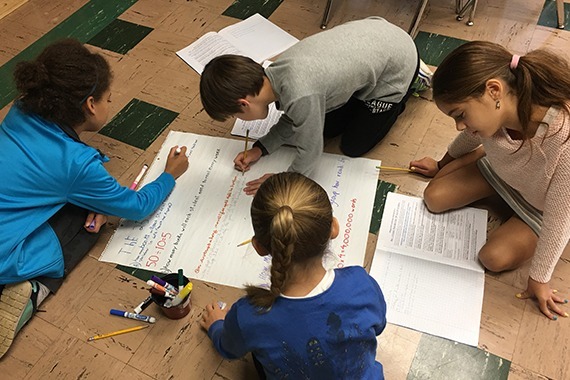 We expect our students to write narrative essays as well as, persuasive, informational texts, poetry, letters, general and historical fictions and non-fiction texts. We expect our students to read, write, and research given topics, making oral and written reports as well as presenting research projects. French universities can accept foreign students with a B2 level. In Math, we expect our students to solve academic and general life problems. Graduates will apply their problem solving, logical thinking, and critical thinking skills to master curriculum in computation, algebra, geometry, and data organization, using both the metric and American systems. 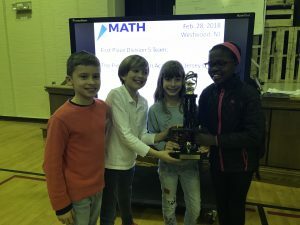 Our students in grades 3 through 6 compete in Math League competitions in NJ. 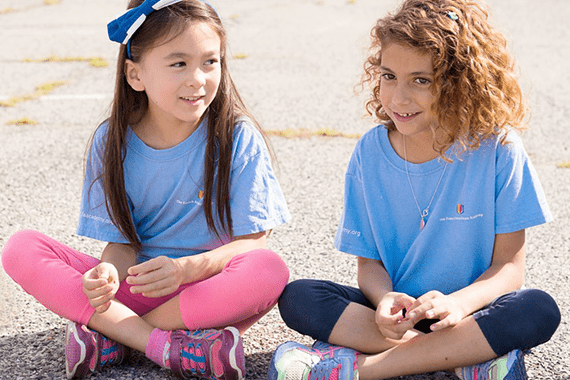 With four rounds – number sense, sprint, target, and team rounds – it is an incredible experience to meet and compete alongside children from various independent schools. Two teams competed at Primoris Academy. Daria placed in the top ten in 6th grade, and Christopher, Hector, Rayana and Zoe won first place in the Division 5 Sweepstakes! Woohoo! In Science, we expect our students to use the scientific method to explore and research Life Science, Physical Science, and Earth Science. They will display and present their research through “Defi Science” and “Science Fair”. Thanks to our recycling programs, we expect our students to share awareness of the environment and conservation. 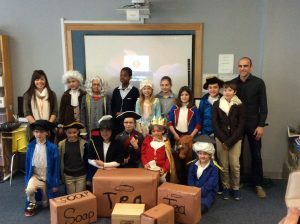 In Social Studies, we expect our students to be knowledgeable in French and English civilizations, in world geography, history government, current events, and ancient and modern civilizations. Through the bilingual curriculum, they will be able to make cultural and historical connections between continents. In Art and Music, we expect our students to possess knowledge about many artists and their work, and to be able to compare differences and similarities. We encourage self-expression and expect our students to perform and exhibit their artistic skills in a variety of presentations. Health : We expect our students to maintain healthy lifestyle habits through awareness of balanced nutrition, and physical activities. . In any and all athletic pursuits, we expect them to show sportsmanship. Students will be able to apply media skills and technology in all subject areas. 01 – We expect them to be lifelong learners that can handle new challenges confidently. 02 – We expect them to use the skills they have acquired in their bilingual education to think both critically and innovatively. 03 – We expect their vision of “community” to expand from their neighborhood to the global community and to be aware of the needs of that global community. 04 – We expect them to work collaboratively. 05 – We expect them to transition smoothly using their strong academic foundation to become confident leaders in Middle School. 06 – We expect them to be role models and have a positive influence on their peers. 07 – We expect the benefits of their multilingualism and global outlook to better prepare them for future success.